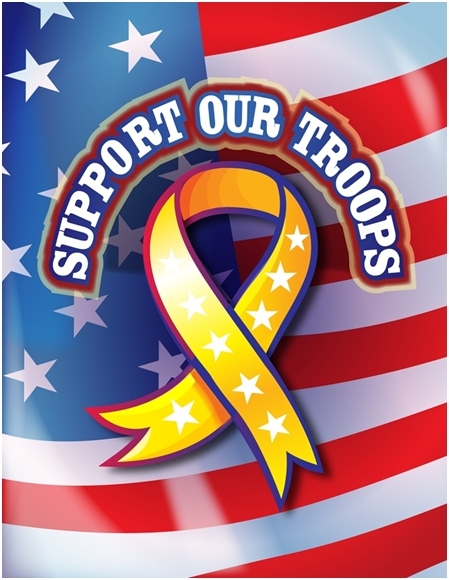 Community Service Director Mary Annis has been advised there is an acute shortage of disposable razors at Togus VA Center—so much so that our heroes are shaving every other day to conserve! (Is there a man among us who has not suffered the results of shaving with a dull razor? OW!) So, let’s see how many packages we can come up by our next meeting (February 20)! Bring ‘em to the meeting… or get them to someone who is coming. Janice is going to see if she can get the folks at the college to help out… what organizations are you involved in that would be willing to help? (I thought about linking this to Coups for Troops, but the idea of kids bringing razors to school doesn’t seem quite right!) If you aren’t coming to the meeting, give them to someone who is! There’s also a need for hairbrushes for the ladies… for some reason they have plenty of combs… This doesn’t seem to be something we need to create a program for… we just need to get it done! You can be a collection center… just get donations to the Grange Hall or Mary Annis… let’s see what we can do! Let’s get the word out and get collecting! Thanks! It’s no secret that I firmly believe that kids are great problem solvers! 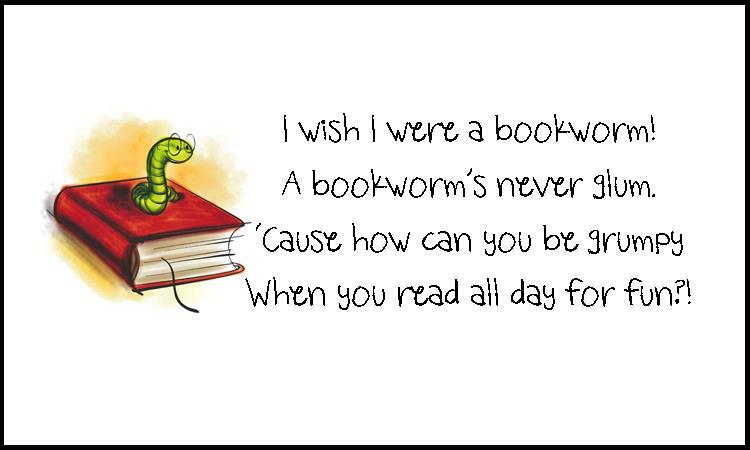 As many of you know, we’ve been struggling a bit to increase our bank of bookworms this year. Here’s a story that demonstrates maybe we should have just asked the kids for some help! This past Tuesday, Mike Lange from the Observer shadowed me as I bookwormed so he could write a story about our program… we picked up our first kid and went to the couch where he listened for a while and took lots of photos. Since it was business as usual as far as the amount of time per kid, Mr. Lange decided to wander back to Mrs. Stearns’ room and poke around a bit—talk to some of the kids, maybe take another photo or two. Oh yeah, he’s hooked. So give a wiggly welcome to our newest Bookworm, Mr. Lange from Saint Albans and the Piscataquis Observer! And a big thanks to “A” from Mrs. Stearns Second Grade for her recruiting efforts! Mr. Boomsma is having trouble keeping up with all of this, but hopes to have the classroom posters with photos done soon… Bookworms, if you owe me a photo, please send it ASAP. Mrs. Annis has already sent out the schedule request for November—let’s start filling those slots! I’d like to have everyone’s badge at school and the classroom posters in place before we start November! 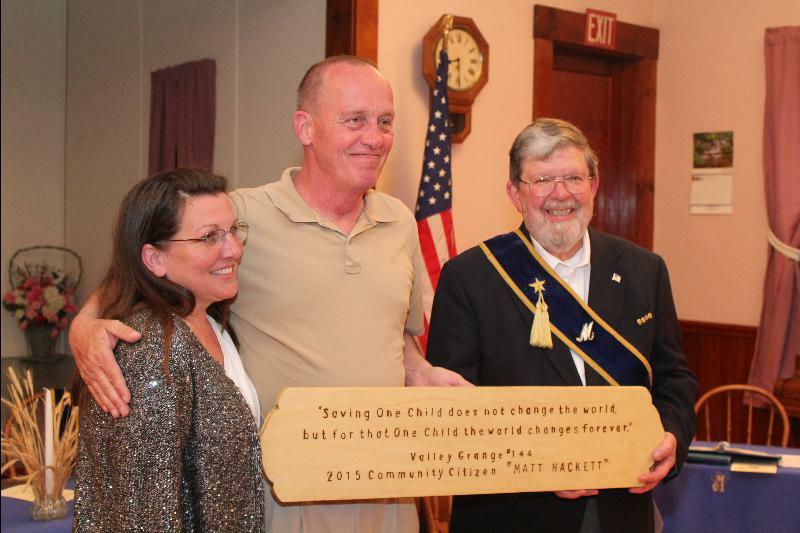 Valley Grange celebrated community with a potluck supper and program on Friday night that seemed to be all about time. The program included some thoughts on the value of five minutes of community service every day. 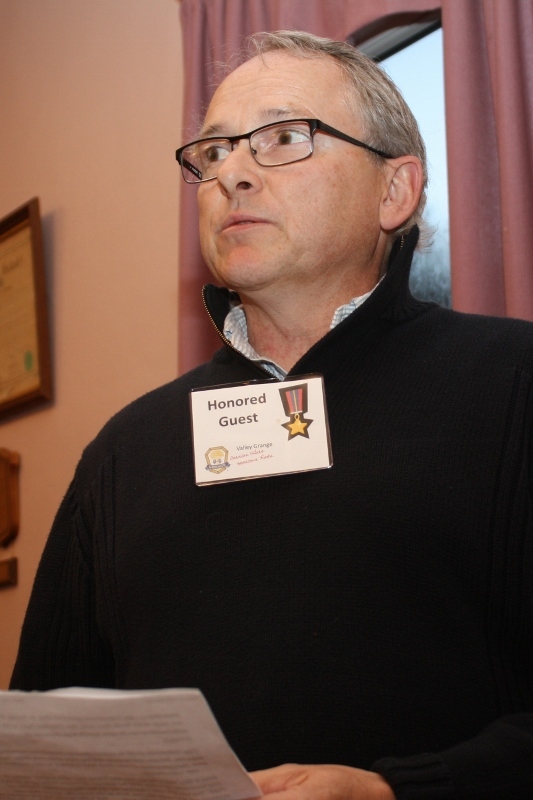 Noting that if every citizen in Piscataquis County between the ages of 20 and 80 gave 5 minutes per day to his or her community, Lecturer Walter Boomsma pointed out ”this would equate to 188 people working full time in our communities–an average of ten per town. Using the median income from 2011, the value of those five minutes would be the equivalent of an annual payroll of over six and a half million dollars per year.” Boomsma also noted “but there’s more than just dollar value, explaining how his association with Valley Grange has allowed him to discover his passion for working with kids–a passion that sees him now substitute teaching at the elementary school level and having his book Small People –Big Brains published recently. 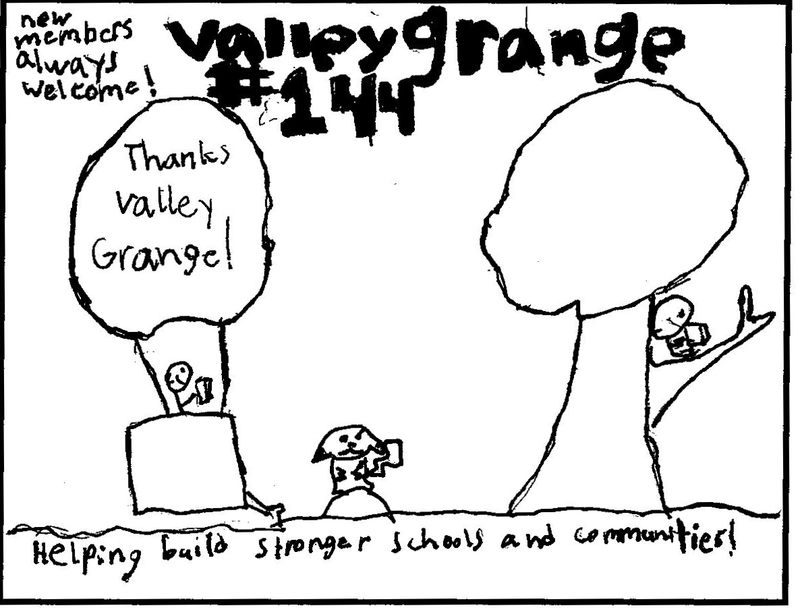 “Were it not for my association with Valley Grange, I might not be where I am today,” he admitted. 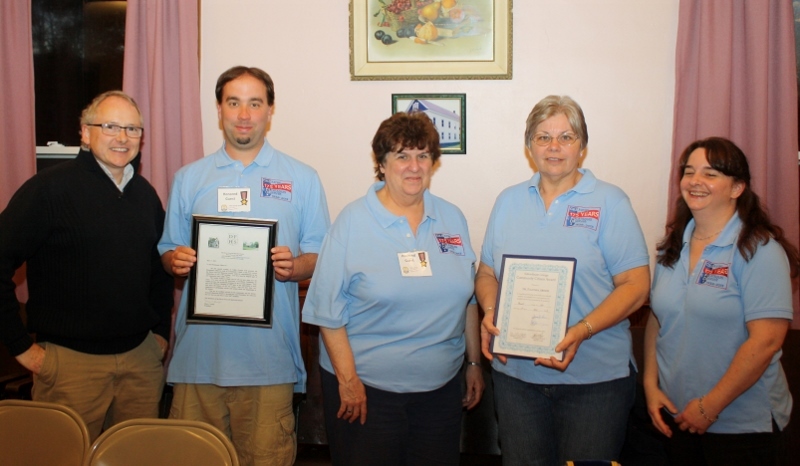 The Grange recognized two news organizations for their community service: local newspaper The Piscataquis Observer, and Bangor-based WABI – TV 5. Both organizations were praised for their “boots on the ground” involvement in local communities and their willingness to work with local organizations such as the Grange. Dover Foxcroft Historical Society President Mary Annis offered testimony and an additional award in acknowledgement of both organizations’ contributions. Representatives from UMaine Extension, Kiwanis, Center Theatre, and other Granges in the area added accolades for both organizations’ local emphasis and their responsiveness to individuals and organizations. Piscataquis Community Elementary School Principal Julie Orton noted that the school genuinely appreciates the recognition students receive for their accomplishments and the kids value that recognition and find it rewarding and motivating. As part of the celebration of community, Valley Grange also honored members Herb Dunham for 55 years of Grange Membership and Carolyn Campbell for 65 years of membership. We’re Ready for Community Night! Well, almost! While this photo doesn’t show it (you’ll have to come see), the stage is painted and looking great! 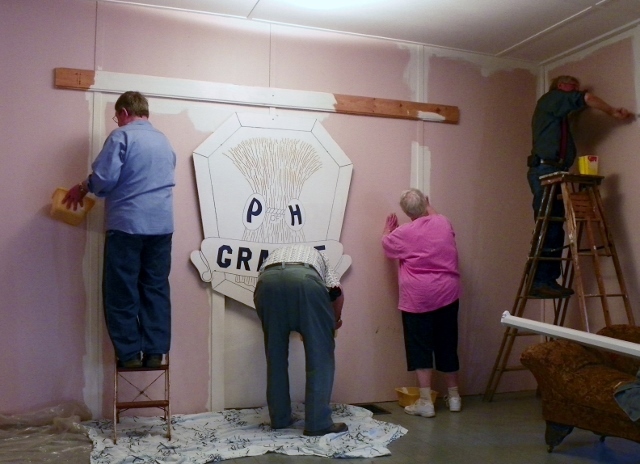 Members are reminded we still have some “primping” to do… and those who can are asked to stop by Friday (17th) afternoon and find a project–sweeping, dusting, setting tables, etc. Our celebration of community begins at 6 PM with a potluck supper… and continues with a 7 PM program that’s sure to please as we honor the Piscataquis Observer and WABI-TV 5 for their service to our communities. 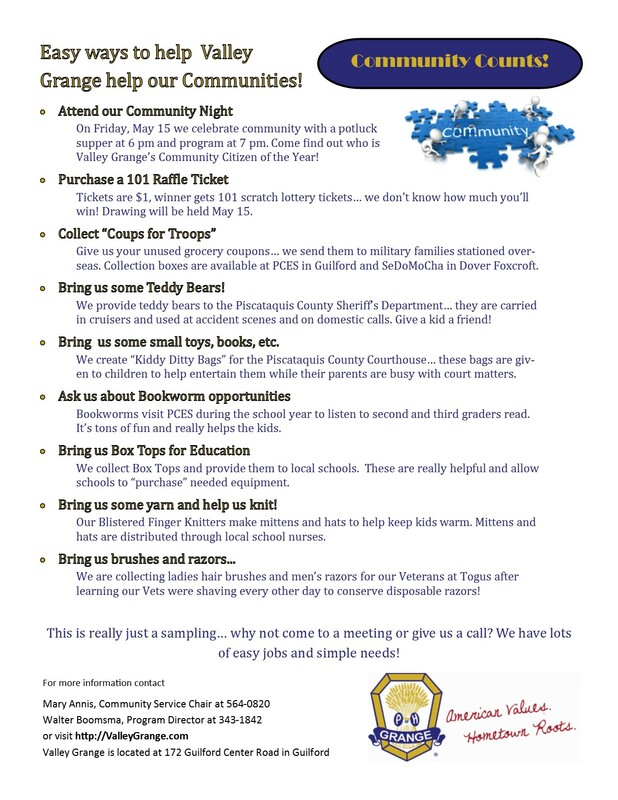 Remember, this is a family friendly event and the price is right–all it “costs” is a few hours of your time! (If you can, bring a dish to share for potluck.) In exchange, you’ll get a great meal, a warm sense of community, some laughs and a chance to see friends old and new. An audio-visual presentation will surprise you when you discover the value of “Just Five Minutes.” Look for a traffic jam at the corner of Butter Street and Guilford Center Road on Friday-because that’s where Valley Grange is located! Ad by Nyla Larrabee produced for the Observer’s Newspapers in Education Section. The students in the Penquis Valley Life Skills Program would like to thank you for contributing to their project to collect winter hats and caps for the children in Kyrgyzstan. We managed to reach our goal of 200 caps thanks to your help. This was a meaningful project for the students and we thank you for your generosity. Note… special thanks to Blistered Finger Knitter Pat Engstrom for helping us help the kids! Thank you for paying for the dictionary because we use them. I was happy that you showed us things. How did you pay for the bus ride and the dictionary? Thank you for writing and asking a question because that’s how you learn! We are very lucky to have some Valley Grange members who work very hard every year to raise money so we can give dictionaries to so many students like you. You met some of them during your visit. But the money really comes from a lot of people from all around the area who make donations and support our programs because they want to help you succeed as a student. They also believe that we can all work together to accomplish good things as communities. You can even thank your teacher and your school because they are an important part the program. We are glad you are using your dictionary and hope you’ll keep it for many years. We are happy you are learning!